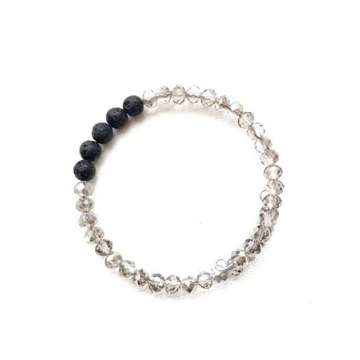 Modern and sparkling bracelet that fits all. 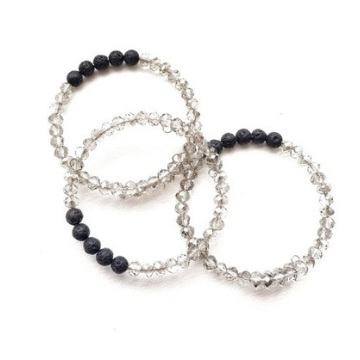 Featuring 5 black lava rock beads and pale grey faceted Czech glass. This can be worn by itself or used as an essential oil diffuser.